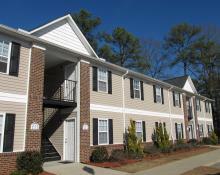 You’ll love the open floor plan, and storage space in our 1 bedroom apartments. 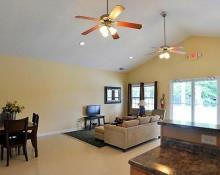 Overhead lighting is standard throughout the apartment with ceiling fans in the living room and bedroom. Large, double windows allow for plenty of natural lighting throughout the apartment. 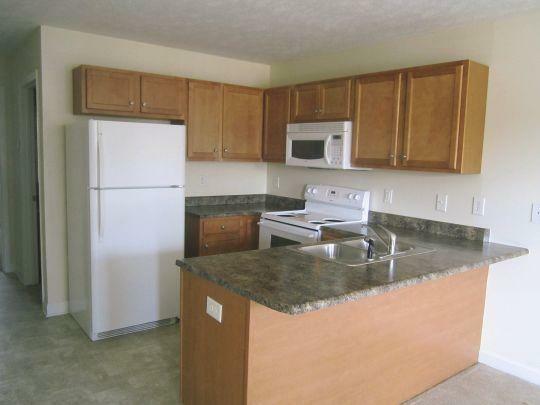 Our galley style kitchens come furnished with a built in microwave, dishwasher, and ice maker in the freezer. 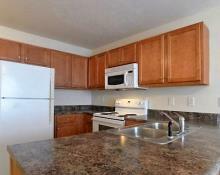 Each apartment has its own laundry room equipped with washer/dryer hookups. Master bedroom includes a large, walk in closet with built in shelving which allows for plenty of storage space!